Kidneys are bean-shaped organs under the spine. They play a significant role in regulating some of the body’s most vital functions like filtering the blood, waste removal, and body fluid balance. If you have doubts regarding any of the ailments related to kidney, you can post your question here and an expert will answer it for you. 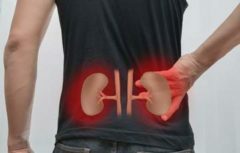 How do I know if my kidneys are bad? Hello my father is 60 years old with diabetes, bp and heart problem , since 7 months he is having high serum keratin with increased wbc count (16000+) symptoms are fever and shivering what is the correct line of treatment .